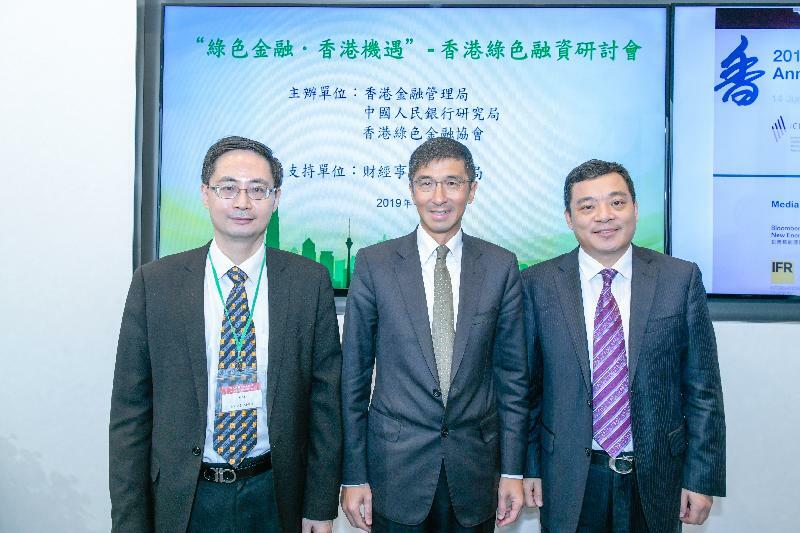 The Hong Kong Monetary Authority (HKMA), the Research Bureau of the People's Bank of China (PBoC) and the Hong Kong Green Finance Association (HKGFA) co-organised the "Green Finance in Action" Hong Kong study tour for more than 120 representatives of potential green bond issuers from Mainland China from January 13 to 15, which is aimed at facilitating their issuing green bonds in Hong Kong. The Executive Director (External) of the HKMA, Mr Vincent Lee, said, "Hong Kong has always been the gateway between Mainland China and the rest of the world. 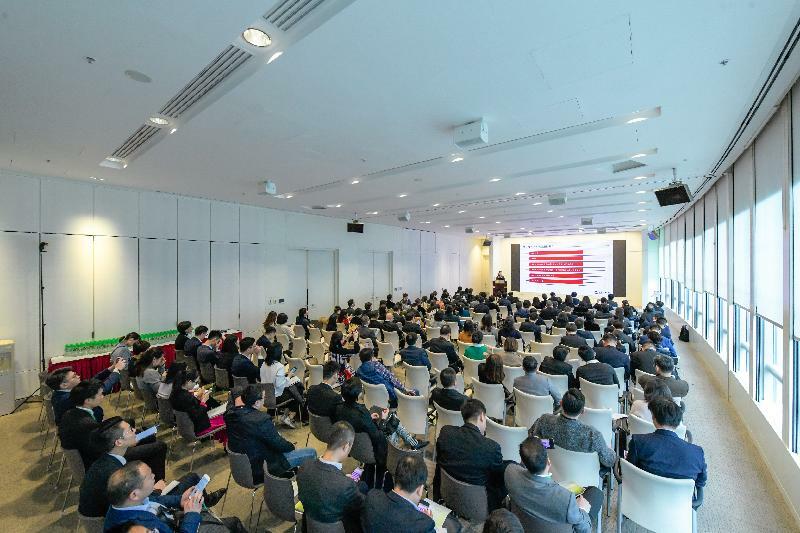 It is uniquely positioned to connect the strong demands for green funding from Mainland China, and for green investment opportunities from international green investors. Hong Kong has a vibrant green bond market, with issuance exceeding USD8 billion in the first three quarters of 2018, of which about 60 per cent were by Mainland issuers. By issuing green bonds in Hong Kong, Mainland issuers can benefit from Hong Kong's world class financial platform, international investor network, and supportive government initiatives. The HKMA will continue to work with our Mainland counterparts to promote and facilitate Mainland enterprises issuing green bonds in Hong Kong." 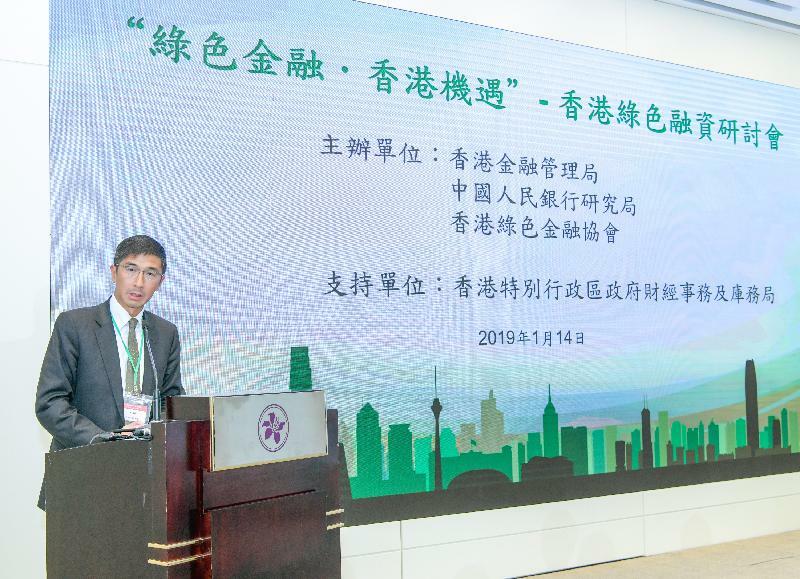 The Deputy Director‐General of the Research Bureau of the PBoC, Mr Zhou Chengjun, said, "Mainland entities issuing green bonds in Hong Kong will bring multiple benefits to the Mainland and Hong Kong: it will facilitate Mainland enterprises and institutions securing international financing, strengthen corporate governance, and enhance their integration into the international capital market. At the same time, it will promote the development and compliance of the Mainland green securities market, promote Hong Kong's status as an international financial centre, and broaden the scope of international investors that can share the benefits from the Mainland's economic growth. The PBoC and HKMA will further strengthen co-operation with a view to streamlining issuance process, enhancing product innovation and investor incentives, as well as promoting the gradual harmonisation of Mainland and international green bond standards, and will continue to encourage co-operation and interconnection between the Mainland and Hong Kong green bond markets." The Chairman and President of the HKGFA, Mr Ma Jun, said, "Hong Kong has a broad base of global institutional investors who are interested in green bonds. The Government has launched a series of incentive schemes for bond (especially green bond) issuance. Mainland companies and projects should make full use of Hong Kong as a financing channel. The Hong Kong Green Finance Association will work closely with the Government and the Hong Kong Monetary Authority to promote Hong Kong's green bond market in the Mainland and abroad, and strive to build a premier green bond market with scale and global influence in Hong Kong."